The Principality of Monaco is an independent state which has been ruled by the Grimaldi family, and now Prince Albert II, since 1297. Monaco is a hereditary and constitutional monarchy which gives the Prince the highest authority. It is located in the South of France between Nice and the Italian border in some 202 hectares. The total residential population according to the last official updated census (2016) is 37,550 of which 8,378 are Monégasque nationals. There are nearly 125 nationalities represented of which 9,286 are French, 8,172 Italians and 2,795 are British. Monaco was admitted as the 183rd full member of the United Nations in May 1993. This membership has underlined Monaco’s stability both politically and economically. Moreover, with its security, commercial flexibility, sophisticated infrastructure and geographic location this stability has provided the background on which the reputation of Monaco has been built. Since 1968 Monaco has been part of the EU customs union where no customs duties are levied on goods travelling within the union. Monaco is also part of the European VAT system. 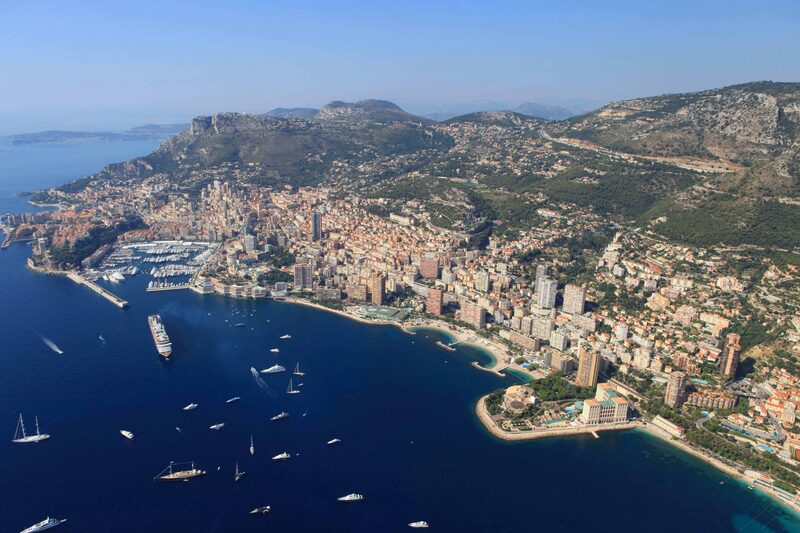 VAT is assessed and collected in Monaco on the same basis and at the same rates as in France. Monaco joined the Eurozone in 2001 following the conclusion of a monetary convention allowing Monaco to mint Monegasque euros. The euro is the recognised currency of Monaco. Although Monaco is not a signatory to the Schengen Agreement, which covers 26 European countries, it is a port of entry into Europe as a result of the maritime and air access to the country, and the free movement that is in place between France and Monaco. Following a 1998 decision by Schengen member states, holders of Monegasque residence cards have been given the right to move freely within the Schengen Area for stays lasting less than three months in any six month period. Monaco concluded in 2003 a number of agreements with the EU that include the use of medicinal products for human and veterinary use, cosmetic products and medical devices. In 2011 an Agreement on Operational and Strategic Cooperation with Europol was signed. In 2005, Monaco adapted the equivalent of the EU Savings Directive on the taxation of savings income in the form of interest payments. In 2016, an Automatic Exchange of Information Agreement was signed between Monaco and the EU relating to the financial accounts of non-residents. The information will be collected from Monaco financial institutions from 1st January 2017 and provided by Monaco to EU member states in September 2018 and each year thereafter. Since 2015, Monaco has been officially engaged in negotiations with the EU to enter into an Association Agreement to enable Monaco to be a part of the European internal market. These negotiations are presently on going as are the possibilities to participate in some of the EU’s horizontal policies such as research, the environment and education. Monaco has entered into 8 double tax treaty agreements. (See also section on Tax Treaties). Monaco has also entered into tax information exchange agreements with 24 countries. (See also section on Tax Treaties). In 2014, Monaco signs the “Convention on Mutual Administrative Assistance in Tax Matters”. This strengthens Monaco’s commitment to international tax co-operation. Under this agreement the exchange of information will be automatic and provides for all forms of mutual assistance on tax matters. To date, 102 countries including Monaco have signed the convention. In 2017, Monaco as part of its continuing efforts to boost transparency by multinational enterprises (MNEs), has signed the Multilateral Competent Authority Agreement for Country-by-Country Reporting (CbC MCAA). This allows the automatic sharing of country by country information under the OECD’s BEPS Action13 initiative. In 2018, the OECD’s (the Organisation for Economic Co-operation and Development) Global Forum on Transparency and Exchange of Information for Tax Purposes confirmed an overall rating of “Compliant” for Monaco. This is the best possible rating and shows Monaco's continuing commitment to conforming with developments in international standards on fiscal transparency. "8 Reasons why you should consider Monaco"
1. For resident individuals, Monaco has a number of advantages over other jurisdictions. For example, there is no income tax and no requirement to prepare and submit tax returns or disclose worldwide income or assets. 2. For companies, although the corporate tax rate is 33.33%, after various allowable deductions, resulting in an effective corporate tax rate under 6%. Directors’ fees if taken by resident directors are free of income tax to the recipient. 3. For most individuals there are lower compliance costs as there is no requirement to prepare and submit yearly tax returns. 4. As there is no income, capital gains or wealth tax there is a greater ability to preserve and accumulate one’s wealth. 5. There is no capital gains tax or wealth tax for non-French resident individuals. 6. There are no inheritance taxes on Monaco based assets between husband and wife or children. A sliding scale of rates applies between 8% and 16% for more distant inheritors. 7. The residency application procedures for most individuals and their families is relatively straightforward. 8. There is no requirement to purchase a property in Monaco nor is there a minimum property rental charge payable. See our sections on Monaco Taxation and Monaco Residency for further information. We at EBC Trust are able to discuss with you your relocation to Monaco, assist with the preparation of all the necessary application documentation and provide the on-going support for your move to Monaco.